The Asics 33-DFA men’s running shoes give each of the 33 joints in your foot the freedom and comfort to work and move, and the very thin and low-profile midsole combines with the FluidAxis deep flex grooves for natural and minimalist running with great feel for the ground. With an open mesh upper, the 255g (9oz) trainers are very breathable and they have a Solyte® midsole compound which ensures good underfoot comfort. The rubber outsole features AHAR+ material that improves ride, cushioning and durability and the sock-liner can be removed to let the trainers air. 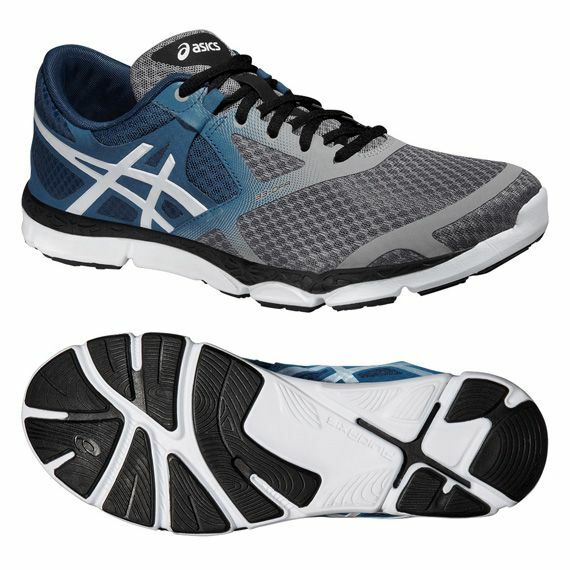 for submitting product review about Asics 33-DFA Mens Running Shoes.